Applying our unrivalled expertise and engineering capabilities gained from many years’ experience in the foam conversion industry, at Technical Foam Services we have developed an array of foam rubber solutions, and we are now recognised as a leading single-source supplier of innovative foam rubber products around the globe. 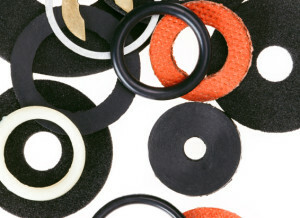 Offering a wide range of closed and open cell foam rubber materials in densities spanning 60kg/m³ to 300kg/m³, and in thicknesses of 0.5mm right up to 75mm, we supply flexible foam rubber products suited to both domestic and industrial sectors. Dedicated to quality and supreme performance, we work predominantly with high grade Neoprene, EPDM, PVC Nitrile and silicone foam rubbers, each of which has unique properties suited to specific environments and functions. An extremely durable and a comparably cost-effective option, we use PVC Nitrile for manufacturing air tight and water tight components for the construction, automotive and engineering industries. Capable of withstanding immense variations in temperature while remaining flexible, it is also highly acid and oil resistant as well as flame retardant, thus providing an effective and resilient solution for harsher industrial environments. Due to its high shock absorption capacity, it is also often used in impact products, such as footwear and sports mats. Body armour and protective sports equipment. Providing superior resilience and thermal stability, combined with flame retardancy and UV resistance, we supply silicone foam rubbers for applications in which products will be exposed to higher temperature variations. Mouldings and extrusions for cords and tubing. Although we offer an expansive range of quality foam rubber grades, it is our engineering prowess that truly sets us apart at Technical Foam Services. With state-of-the-art manufacturing facilities, and an in-house engineering team able to develop specific products and components to meet each individual customers’ needs, we can produce and cut rubber foam materials to your exact design and specifications. We can also supply foam rubber components with both acrylic and resin self-adhesive backing, to provide the optimal solution for your requirements. To discuss your individual foam rubber requirements, contact our technical team.